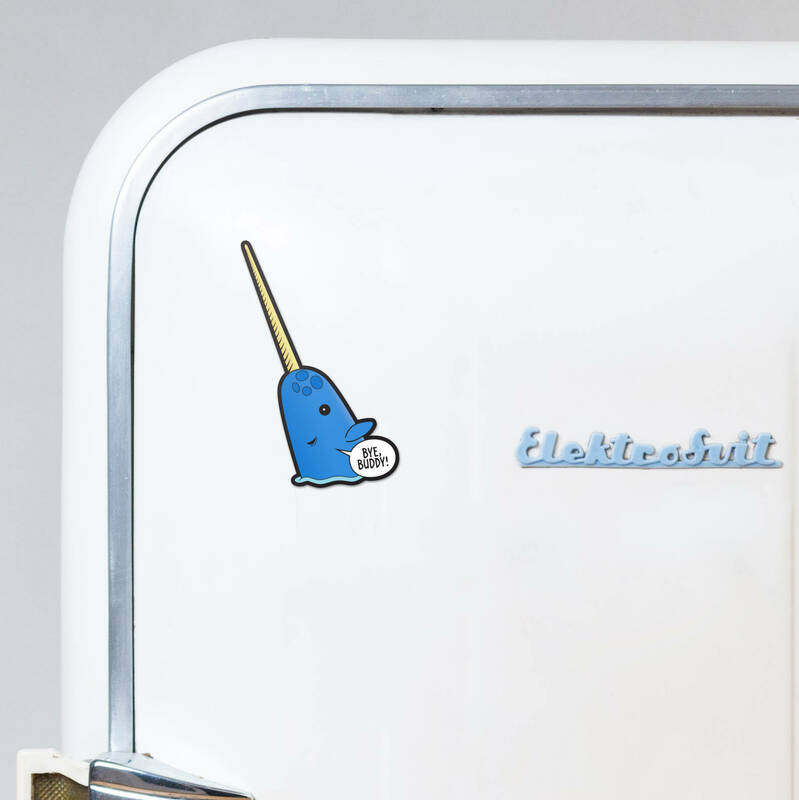 Hang Mr. Narwhal on your refrigerator as a 4.5″ tall magnet! This magnet is professionally printed and strong enough to hold a few pieces of paper. 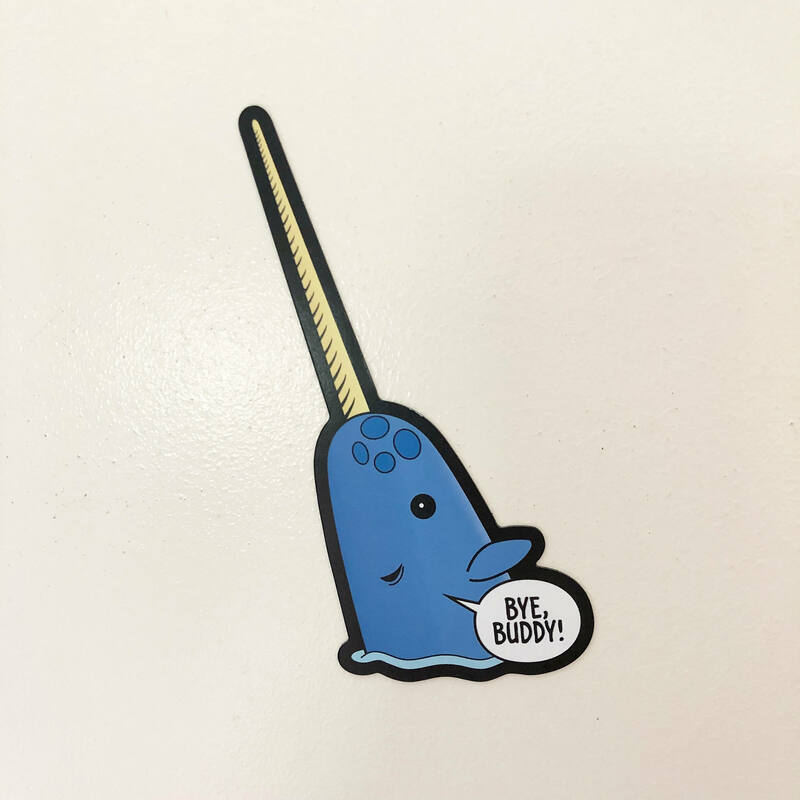 Check out my other items to find a matching enamel pin!